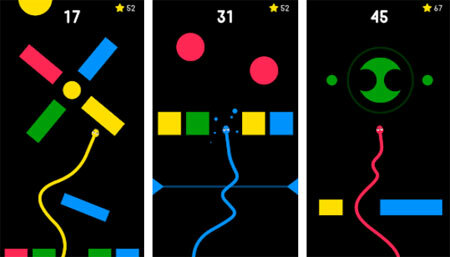 Color Snake is an amazing arcade game from Ketchapp. Relive the thrill of the sensational classic. Control the snake to break the obstacles of your color and avoid other colors. Collect the coins to customize your play. The game features gorgeous graphics, cool sound effects, and many interesting levels. If you get stuck in the game, check out the video walkthrough and gameplay for the game. This entry was posted in Android Games, iOS Games, Mobile Games, Walkthrough and tagged Color Snake Cheats, Color Snake Game, Color Snake Gameplay, Color Snake Guide, Color Snake Highest Score, Color Snake Highscore, Color Snake Hints, Color Snake Review, Color Snake Solutions, Color Snake Strategy, Color Snake Tips, Color Snake Walkthrough, Color Snake World Record by Marvin. Bookmark the permalink.